This topic is for applying for the FM Design Beta Testers program. 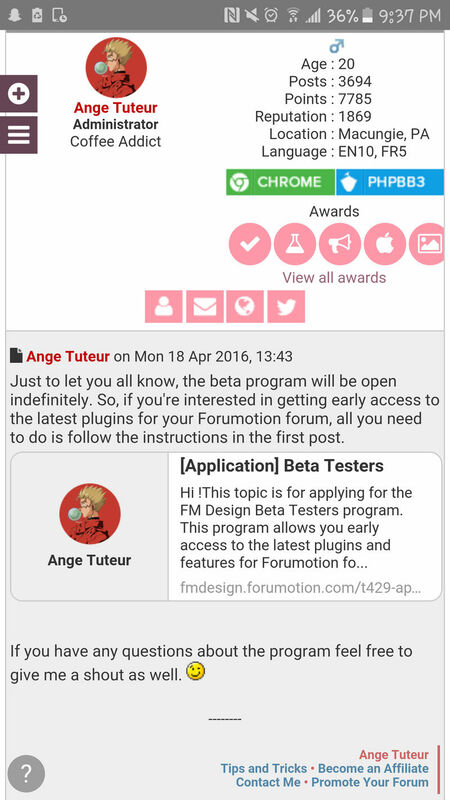 This program allows you early access to the latest plugins and features for Forumotion forums. Your role in the program is to help test new features and provide feedback whenever you're free. The position is completely voluntary, so you don't have to worry about testing every new feature ! Q. What is the point of this program ? A. The beta testers program allows members early access to new features so that they can test and provide feedback or bug reports on them. Q. Why cease public beta testing ? A. Because it's best that features not ready for production are done in private to prevent large scale bugs and problems. Q. Why do you need my forum URL ? A. Your forum URL is required so that you can connect to the FM Design Beta Channel without problems. Knowing the forum you're testing on is essential for knowing technical information if a bug occurs. Q. What is the "FM Design Beta Channel" ? A. It is a special channel that you can connect your forum to for testing new features. Whenever a new test is available you will be notified, and depending on the feature it may be live on your forum without you needing to install anything. If you have any questions regarding this new program please let me know below. 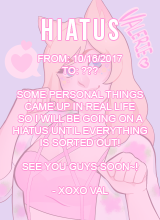 @Teo! welcome to the beta tester's program ! For more information please see this topic. @Ange Tuteur wrote: @Teo! welcome to the beta tester's program ! For more information please see this topic. Respect is earned, loyalty returned. Yep, my twitter and github are my true name. "Ange Tuteur" is a moniker that I came up with long long ago. Positions still open @Ange Tuteur? @Ace 1 yep it's always open, so welcome aboard ! Please see this topic for more information. Ken is my account name. @Ace 1 no problem, I've updated the whitelist. Cool Now I gotta get to cooking something then.. Thanks for considering applying as such, though! 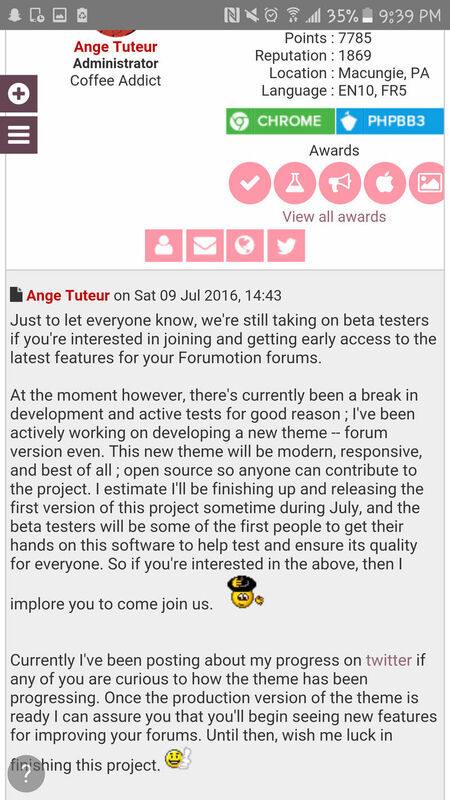 Yes indeed, the beta testers section will be shutting down at the end of this year. (explanation) If any of you are still connected to the beta test channel I recommend removing the script that allows you to connect, because it will no longer be in use. In case you need any help with this, please feel free to contact me via the beta section or PM.